While I drink coffee literally anywhere and any time and see is as an essential for waking up and/or an energy boost from, tea is primarily my drink for relax and contemplation in the afternoon and in evenings and late nights. I only have a couple of different coffees at home – dark roasted French roasted for the bistro brewer and espresso roasted for the espresso brewer. The serving formula is also the same; coffee in almost any form is served with warm milk – be it a strong coffee with warm milk (Café au lait) or an espresso with warm milk (Caffé latte). A black espresso can sometimes be great after dinner, but I am a meek lady when it comes to coffee – but the coffee must be strong to accompany the warm milk in a tasty way. Tea is a different matter. I am no connoisseur with high demands, but I do have some favourite teas. The chase for new teas is similar to the chase for new inks; always on the look for something new, and a perfect shade – often playing in the division of subtleties . The chase for the perfect burgundy red and the chase for the perfect Earl Grey are actually very similar. Earl Grey keeps being one of the teas that I never grow tired of. 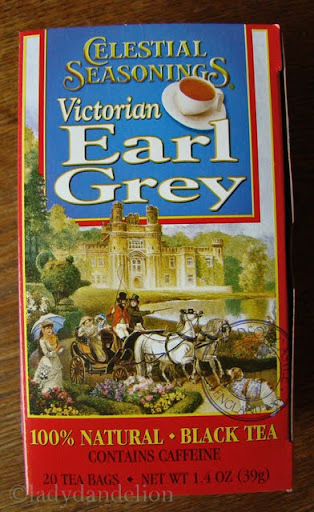 I have three Earl Grey favourites that have managed to stay at the top for quite a while – all three have different characters and one of them is a lady. 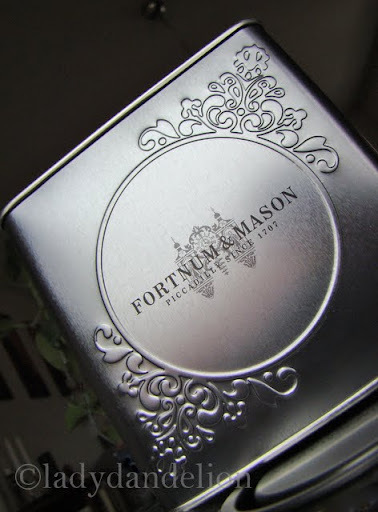 The first (and probably my no 1 if I should be obliged to make one of the three a no 1) is Fortnum & Mason’s Smoky Earl Grey – a wonderful, delicately scented Earl Grey with a hint – just a hint – of smokiness. Brilliant combo. As far as I know this was F&M’s standard Earl Grey for a long time and it amazes me that I’ve not found any other brand that adds this lovely smokiness to the Earl Grey. F&M also carries a regular Earl Grey, but this is it. The second is – surprisingly – an American tea blend that only (puritans – close your eyes here) comes in bags: Celestial Seasonings Victorian Earl Grey – a very aromatic version with an original character – without being heavily perfumed. The third earl is actually a lady – Twining’s Lady Grey which is their traditional Earl Grey with a hint of orange – a delicate tea. This is a very price worthy tea and I always have it at home. The only one of these three faves that are possibly to buy here is Twining’s Earl/Lady Grey. The American CS was actually found in Berlin and, while I have managed to find their herbal teas here, I haven’t been able to find their Earl Grey. So, when I got a box of CS Victorian Earl Grey yesterday – straight from Berlin I was very very happy and realized that it wast time for a tea post. The F&M is not – by natural reasons – not to be found here either. 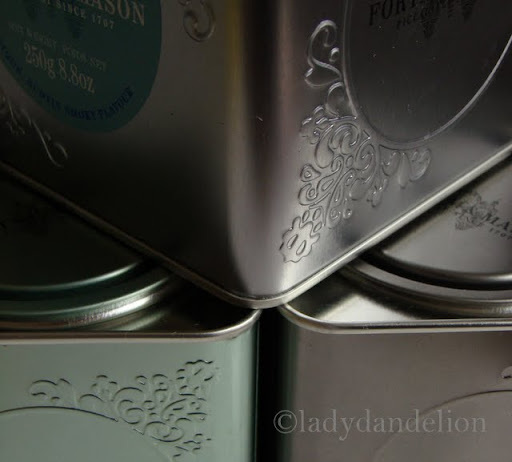 What surprised me when I first found their teas during a long holiday in London (long to be in London again…and NY and…) a little more than a year ago, is that they are reasonably priced – just a tad more expensive than a can of Twining’s – and of very high quality. I mostly tried F&M out of curiosity and didn’t have high expectations on it since I (falsely) believed that their teas were more of a fancy label (and lovely tin can) sticked on a rather ordinary tea. I was proven wrong – the tea is exquisite and I have also tried some of their other teas which also have been of the same high quality. I do believe that both CS and F&M ship their stuff internationally, but I actually haven’t looked it up yet – still have plenty of delicious Smoky Earl Grey left. So. It is late and it is getting time to wrap this post up and take the last sip on my (almost empty) cup of tea and tuck in. This entry was posted in Berlin, celestial seasonings, earl grey, england, fortnum & mason, germany, London, tea, twinings and tagged cafe, celestial seasonings, coffee, earl grey, fortnum & mason, lady grey, london, photo, relax, tea, twinings. Bookmark the permalink. 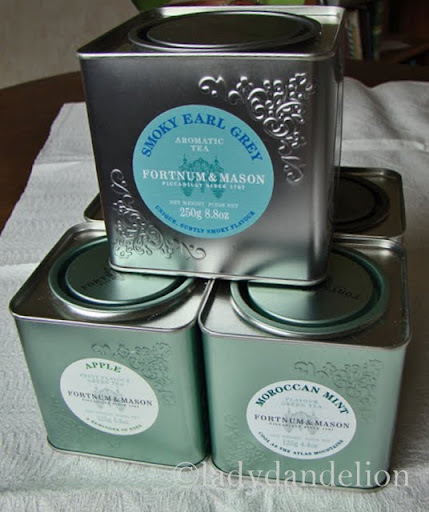 I am very partial to Earl Grey, but haven’t heard of the F&M Smoky before – it sounds a wonderful combination. I am in London and plan to visit F&M and pick some up. Autumn is here and along comes tea time. As a fellow Earl Grey fan, I would suggest you try Mariage Frères’ “Earl Grey Imperial” – my favourite, its flavour is somehow lighter than others. In my green tea days, I always go for their “Jasmin Mandarin” or “Montagne de Jade”, both are great flowery blends. All this said, I like the pictures of your morning coffee cups, they are so inspiring! Tea! One of my favorite topics. I dearly miss Earl Grey. I stopped drinking black teas a while ago because I’m extremely caffeine sensitive, but I used to have to practically chug it to get myself to focus effectively when writing papers. I found I liked a local grocery store’s brand better than Bigelow, which is found everywhere and cheaply. 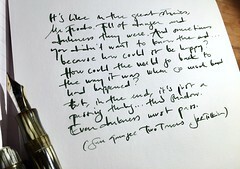 I do like your comparison of the search for the perfect Earl Grey to the search for the perfect ink. I’ve been collecting a wide variety of green teas and can’t *wait* for someone to ask “but why do you need all this tea?? isn’t it the same?” NO, I will answer. Let’s do a taste test and pay attention to the subtleties, maybe you will learn the differences! Love your pics! BTW F&M do ship internationally but postage is quite steep. Great pics! I linked to your post under my photography section for today. Thank you – I feel very honoured by that [slight blushing]. Earl Grey is a favourite here for me too. I’ll try any brand: loose or bags. The only coffee I’m having at the moment is Nescafe ,Kenco and Dowe Egberts. I agree tea is most soothing for a relaxing evening, especially mint or fennel for herbal detox. I love a good cup of tea. Straight up – no milk, no sugar. I used to enjoy Earl Grey often, but now rarely. 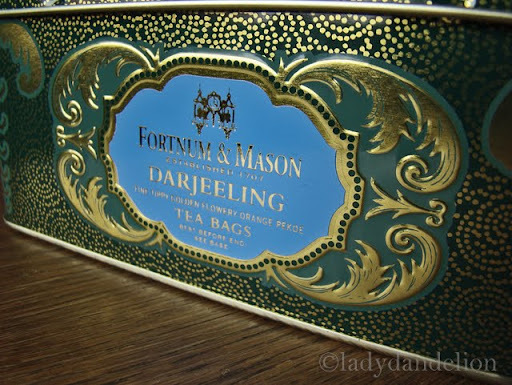 I prefer straight Darjeeling. It’s best when I can have friends bring me some straight form India. Coffee? Never touch the stuff.